We talk a lot about creating your own family culture. Parents often feel overwhelmed about intentional parenting because it sounds time consuming — and we just don’t have any more time in our day. But, it doesn’t have to be that way! It’s possible to spend time with your kids when you don’t have time. Any time with your kids can be quality time. I recently had an incredibly honest, connecting conversation with my daughter. I asked her some real vulnerable questions about my parenting and our relationship, and her answers were mature and thoughtful. The conversation gave me more insight into her feelings and more wisdom for my parenting. It opened doors for further conversations and helped me learn how to parent her better. We weren’t on a mother-daughter date. It wasn’t during a fancy tea party or Starbucks run. I was driving her to swim practice. We could have turned up the radio and jammed to 80s music (well, I would have — she’s not a fan of the 80s). But I’m glad it was quiet so I could take the time to connect with her in a meaningful way. If we’ve learned anything in parenting, it’s this: It doesn’t need to be fancy, but it does need to be intentional. We’ve learned that family culture isn’t created on Thanksgiving or Christmas Eve. Family culture is created in everyday moments. Anyone can participate in a tradition once a year, but the small things we do every day define our families. We’ve outlined 10 moments in the week where we’re already spending time — but we can intentionally invest that time in our kids. The small things we do every day define our families. This can be a crazy time, right? When we’re not intentional, mornings can be filled with tension and stress. Having a good atmosphere first thing in the morning can help set our mind for the rest of the day. Whether it’s dancing or worshiping to a great music playlist, speaking affirming words to your kids, or starting the day with prayer – establishing quality connection in the morning is possible with some planning. Personally, we’ve outlined 7 ways we set our days up for success in this post. We rarely listen to music in the car. Unless we’re completely engrossed in an audiobook, our sound system is turned off. Why? We like to think of driving time as “forced community.” We’re all in the car together, so we might as well connect with each other! The car is a time to ask questions, discuss important topics they’re wondering about, review things we’re learning in school, tell jokes & stories, sing songs together, do MadLibs. We’re connecting with each other in a way that doesn’t happen when our earbuds are in or iPads are on. The best part about drive time is that it happens every day, so there’s built-in time to add connection with our kids daily! Words of encouragement, prayer, or Words to Live By can all be a meaningful part of the school drop-off. We know a mom who, at drop-off each day, gives their child a “word of the day” challenge. Whether it was a vocabulary word or something random like “cumquat,” the child would try to work it into a conversation at least once that day. At pick-up, their child would tell the story of how they used the word. How creative is that?! Whatever you choose, these simple, consistent moments over time can create lifelong memories. Kids helping in the kitchen is usually more difficult, and definitely messier! However, allowing kids to pull up a chair to stand next to us at the kitchen counter adds a special dynamic. They want to help. 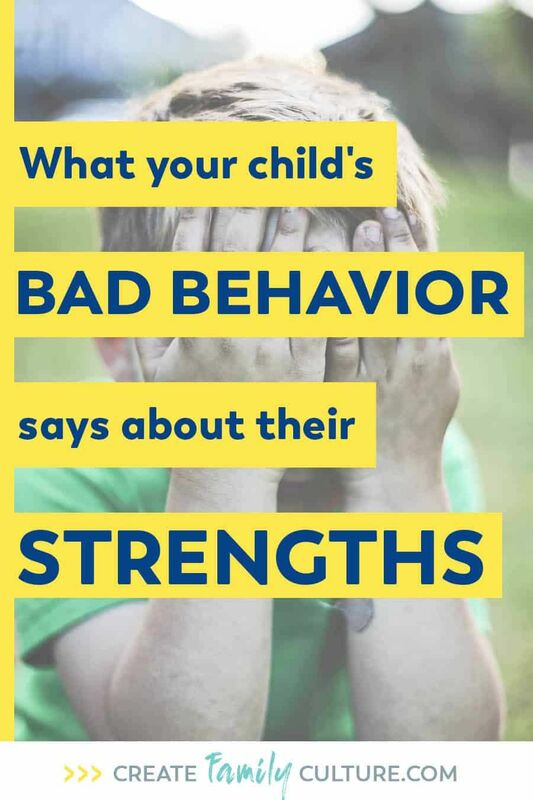 When kids help us, it creates meaningful connection, and teaches them valuable character traits and skills. Plus, it gives us a chance to encourage and invest into them. It’s worth it to take a deep breath, ask God for patience, and accept the mess! Ask each other how your days were and share highs & lows. Sometimes, these questions lead to in-depth discussions about faith, dreams, and values. No matter what your family culture is, you can create time during dinner to reinforce it. Is part of your family culture Fun? Responsibility? Faith? Learning? Kindness? All of these can be developed around the dining room table. For example, fun is a big part of our family culture, so our dinners are typically loud and a bit crazy. We have a son who doesn’t like to sit (ever), so he’s usually standing by his chair and eating. I have a husband who’s hilarious and is bound to get the kids excited about something. Our dinners often break into song. Ready to Create Your Family Culture? Get the Step-by-Step Guide Here! We have 936 weeks with our children between birth and graduation. What are we going to do with them? Reading books, playing board games, going for a walk, playing at the park, writing and performing a family play, doing an art project – whatever works. It doesn’t need to be fancy, but it does need to be intentional. We’ve reduced our screen-time and it has changed our family for the better in many ways. We have the occasional family movie night, but we try to connect in other ways as much as possible. Returning emails and folding laundry can wait until after they go to bed. Our evenings are prime connection time as a family! Whether it’s cuddling during bedtime stories or having a bowl of ice cream, bedtime routines are a simple way to add connection and reinforce your family culture. Bedtime doesn’t have to be a fight. If kids know it’s a meaningful time they can spend with you, a lot of bedtime battles can be avoided. Make it fun, faith-filled, calming, or creative — just make it intentional. Confession: We’ve never won Lawn of the Month. Guess why? We have 18 summers with our kids before they graduate. Eighteen! To be in our children’s memories tomorrow, we have to be in their lives today. So, we spend just enough time making the yard presentable and then we invest in our kids. Our grass gets watered when we’re running through the sprinkler and it works out just fine! To be in our children’s memories tomorrow, we have to be in their lives today. We make Family Fun Days a top priority in our home. For more details, including a list of 80 FREE Family Fun Day ideas, check out this post. Going to Target with kids can be stressful! We want to get in and out as quickly as possible, trying to avoid meltdowns and too many random purchases, right? But, errands can be a great way to invest in our kids. Our youngest is looking for certain letters of the alphabet on signs, and we teach our older kids about finding the best price & sometimes have them do the math. We ask them about preferences and goals of what they’re saving for. Waiting in the checkout line is a great time to keep the phones tucked away and talk with our kids. When they’re young enough to ride in the cart, it’s especially perfect face-to-face time to connect with them. Ask them questions, have them tell jokes, play “I Spy” – these small moments of connection can make a big difference! Doing chores together can create a sense of teamwork and responsibility. Letting small children “help” may mean a task takes longer, but the skills they’re learning – and the time they’re spending with you – are well worth the time! Allowing kids to work alongside you & be encouraged for their accomplishments is a deposit into their life – not a withdrawal. At least once a day, we do a “5-Minute Clean Up Party.” We start a fun dance song on our Amazon Echo and get to work. We’re dancing, joking, and encouraging each other along the way. When the 5 minutes are up, the house is picked up and we do a team high-five. What about you? How do you spend time with your kids when life gets busy? Let us know in the comments!